TEC Reports CEO, Charles Griffin takes on a 10 Peak Challenge. 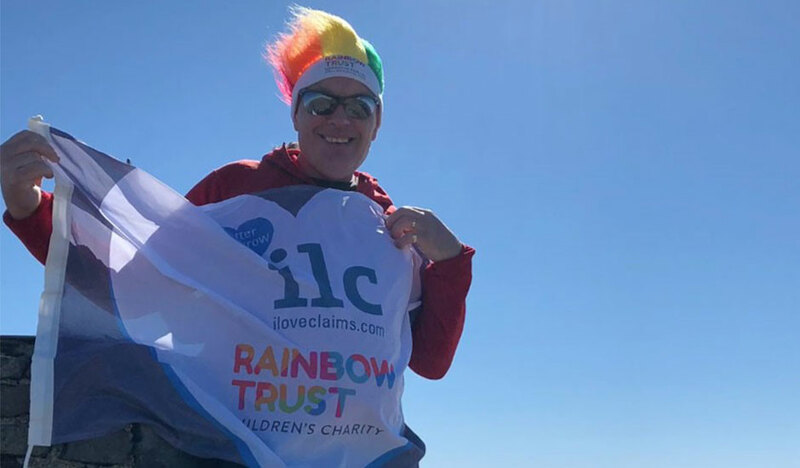 Charles, CEO of TEC Reports, has set himself a challenge to raise £5000 to help I Love Claims hit their £1 million target for Rainbow Trust. Kick starting his challenge with a ‘warm-up’ trek of 100 miles in 5 days along the West Highland Way, Charles has now completed the first of 10 peaks! Mount Snowdon was the first testing challenge. The 8.9 miles and 3,560ft climb were made a little easier by the beautiful weather and the climb was conquered in 3 hours. You can check out the route and relive the climb here. Next up, Charles plans to scale Ben Nevis, a 1345m climb and the tallest mountain in Scotland. Followed by Cairngorm 1245m, Braeriach 1296m and Scafell Pike 978m. During his challenge, Charles will scale over 16,000 meters! Two challenges in and having already raised £500, Charles is off to a great start. If you would like to donate to his page or follow his challenge then you can find out more here. If you’re up for a climbing challenge, then why not take a look at the Three Peaks Challenge. An opportunity to scale the tallest peaks in England, Scotland and Wales.